Perhaps, the greatest feature of 4PT is that it is a form of universal particularlism, centered around the idea of civilizational multipolarity, ethnos and Dasein. The invocation of Dasein is a call for this particularism, but one problem is that Dasein is too complex and abstract a way to formulate this idea for most people. So we come to ask a simple question, “Why Dasein?” Why does Dugin choose Dasein as the subject of the Fourth Political Theory? To address this question, we must consider where Dugin is coming from. For Dugin, the modern world, and Liberalism in general, are attempts at moving away from tradition and organic communities, and into the high speed development which characterized the previous centuries, as well as the notion of linear, “monotonic” progress. As society becomes more abstract, characterized by technical concerns and applications, so too do people, thinking of themselves and others in increasingly abstract ways. The modern world created this experience, and it is this experience which has lead to the concealment of Dasein in human affairs. However, as we move from the Modern World to the Post-Modern one, this reduction of human experience to the level of abstraction, which is also the level of "human rights" and globalization, is challenged by the arrival of a different paradigm, Postmodernity. As we transition into the new era, the issue is no longer about tradition vs. liberalism, but a contest between authenticity and virtuality. Where the Modern World tried to overcome the past, Postmodernity is an attempt at overcoming Authentic Being in favor of a sort of hyper-virtual existence where the world becomes a sort of eternal rave party, where there is no individual self, but only the rhythm which animates the entire structure. In other words, Dugin conceives the coming struggle as between the inauthenticity of the coming Post-Modern world and the authenticity of Dasein. For Dugin, Dasein is authenticity, tradition and rootedness, and therefore the best solution against the encroaching virtual world of Post-Modernity. The Postmodern world, despite its gifts of new and ever changing stimuli, is a cage that traps humanity in its own senses, severing it from the authenticity of Dasein. Let me put it this way: Do you want to believe that you’re a hermaphroditic African-Asian dragon trapped inside a heterosexual white male’s body? In Postmodernity you can become whatever you want, and later on, if you change your mind, we can always turn you into a little elf girl princess. You can become whatever you want to be, whenever and wherever you want to be. We have the technology, and no cisprivileged bigot will stand in your way of becoming a real pony princess. After all, anything’s possible in virtual reality, which is Postmodernity. This form of unlimited freedom is the logical conclusion to the liberal project, the freeing of man from man. It is deeply Faustian in its implications. The subject of Postmodernity is pure will to power in the context of the "Blue Pill" of The Matrix, where freedom is illusion and reality is slavery. In Postmodernity freedom is slavery and slavery freedom. Perhaps, George Orwell knew more than he thought when he uttered such paradoxes. According to Dugin, however, this freeing of man from himself, and his sublimation into a sort of pure will to power is a symptom of a more important trend, namely the reassertion of the Radical Subject. This is a concept which is connected with Heidegger’s notion of Ereignis (the ‘Event’) and is connected with Dugin’s use of Dasein. The Radical Subject is an attempt at recreating the transcendent prehuman ontology, and the facilitation of the creation of "Chaos Logos." Both Ereignis and the Radical Subject have semi-mystical meanings, and I would even go so far as call Dugin’s Radical Subject a form of Neo-Gnosticism, especially as it relates to Ereignis. For those who are familiar with Gnosticism, the concept of linear time, along with the material world, are manifestations of the False World of the Demiurge, Yaldabaoth and Saklas. Linear time is a prison wherein the soul is imprisoned in false dialectics, in Maya. Therefore, to overcome linear time is also to liberate the Radical Subject from the confines of time, from the confines of history and of Maya. Therefore, Postmodernity may not just be the death of Liberalism, it also has a more important significance, which is the rebirth of the Radical Subject and the age of the Kairos (the Supreme moment). It is the rebirth of God from the corpse of pure materialism. In this sense, there is definitely a religious subtext to Dugin’s philosophy. Modernity and Postmodernity are both considered historical necessities, as essential elements which open up the possibility of religious experience by overcoming the linear inertia of human consciousness by bringing about collective psychic stress (i.e. the obsolescence and destruction of traditional civilizational structures by the Modern World). The implications of this idea is that Radical Self works through Modernity and consequently Postmodernity to destroy linear time, and thus release itself from entrenched ontological experiences. But being beyond linear time has two sides, one positive, the other negative, represented by the contrasting concepts of the Radical Subject and the Post-Human. The Post-Human is a new concept of man as nothing more than a collection of urges, wants and thoughts: pure will to power. The Radical Subject is more akin to the Pre-Human, the Human that is most primal and most in touch with Dasein; the human whose Being is tied with nature and chaos. Thus, the death of Modernity opens up with the confrontation between these two types of ontology, both of which seeks to overcome “man” as it is understood by modern epistemology. Postmodernity may be destruction, but it is a necessary form of destruction since it destroys the outdated and confining (as far as Dugin is concerned) logocentric world view of the Western World. In this way, Postmodernity brings with it both danger, in the form of virtuality, as well as salvation, through the reassertion of Dasein and the Radical Subject. When one considers the theory in this manner, Western Civilization’s role in bringing about the Modern and Postmodern worlds have an important significance in historical dialectics. This, of course, opens up the question of how we proceed from this, and for Dugin, the only solution is by accepting and embracing Dasein, and renouncing all concepts created by Modernity. An inauthentic portrait of Martin Heidegger. For those who are having a difficult time reconciling Dugin’s use of Heidegger’s Dasein with the struggle against global homogenization, I suggest reading Dasein in the context of premodern philosophy, particularly Neoplatonism, which posited an inner unity to the universe’s multiplicity – Nous, the divine Oneness, which manifests multiplicity as a necessity of its very nature. Premodern philosophy posits that man is a microcosm of the universe, just as all objects are microcosms of a larger macrocosm (the Universe), and therefore bears no separation with the rest of existence. These points are essential, because Dasein implies that each man, and each event is unique by simply being in a particular period, time or place. This uniqueness, however, does not mean separation from the higher macrocosm, but instead enforces it, and, in fact, derives its authenticity from it. Only by being connected with, and in relation to, the universe can a thing be unique. In contrast, virtuality offers no differentiation. It is seriality, which can then be mass produced ad infinitum. By trying to separate the microcosm (i.e. man) from the macrocosm, man becomes inauthentic, plastic and ultimately pseudo-human, which is what Postmodernity is for Dugin. This is consistent with Evola’s own criticisms of Liberalism, which equates it with radical individualism. By severing man from higher principles, from the macrocosm, Liberalism has paved the way for the creation of the pseudo-human, the creature that is pure virtuality. However, one cannot actually be severed from higher principles. We can only create conditions which make it seem like we are cut off from the macrocosm. This is particularly true in relation to existential criticisms of Heidegger’s philosophy which denies the Being of Man, but rather simply states that Man exists and is nothing more. In contrast, to embrace Dasein is to Be. It is self-awareness of where and what you are, but at the same time, to be aware of your connection with the higher self, including one’s heritage and future. In Evolian terms, this is Tradition with a capital T. So in a sense, what Dugin is saying is that Postmodernity opens up the possibility of the return of Being and Tradition by overcoming Modernity, but this possibility can only be carried out in the context of struggle and the confrontation with our Being, which is also a confrontation with Dasein. Dugin’s book is an invitation to prepare the way for this event, this confrontation, as a prelude to the Ereignis, which in turn, will herald the Palingenesis. Aside from Chaos Logos, this is the idea that I find most inspiring in Dugin’s work. What Dugin is trying to say here is that the Radical Subject, the transcendental aspect of humanity, the part that is beyond what we normally describe as being human in conventional terms, is trying to reveal itself. Admittedly, this idea has elements of religion, but the comparison is irrelevant, for what matters is that Dugin is trying to articulate an unmodern Weltanschauung, one which transcends the epistimological assumptions of the Modern world and its rationalist system. This almost seems like a reworking of Plotinus’ “the Flight of the Alone to the Alone,” except for Dugin time is an attempt of the “Alone to Flee from the Alone.” Thus, the postmodern World is the moment where humanity catches up with itself, and must confront the nature of its existence as well as the possibilities contained within. This confrontation, Dugin says, will result in the discovery of the Radical Self, which is human consciousness which transcends the logocentric epistemology of several centuries. So, in a way, Post-Modernity’s negation of Being is still part of Being; still part of Dasein, because even illusion and virtuality have Being, and even Postmodernity still possesses Dasein. Therefore, Dasein cannot be eliminated even in the moment where its very existence is said to have disappeared. This begs a metaphysical question: If all things exist then what of nothingness? In order for ‘everything’ to be valid then it must include nothingness, and thus nothingness/ virtuality/ self-negation/ the modern and post-modern world/ the Kali Yuga must transpire as a matter of cosmic necessity. It is built into existence and Dugin tackles this question as a historical process which has lead to a kind of existential crisis, wherein man overcomes the past and the inconsistencies raised by the past, thereby opening up the possibility for spiritual and civilizational Palingenesis. Indeed, Dugin poses this very possibility at the very end of Chapter Ten, The Ontology of the Future, where he theorizes that Postmodernity may be a necessary form of ontological madness. Thus, self-negation (Modernity as well as Postmodernity) must exist in order to validate the teleological aspect of existence, thus allowing for reemergence of the Radical Subject. Inauthenticity must exist for there to be authenticity. It is an attempt for Dasein to authenticate itself. As such, Dugin’s use of Dasein is an attempt to call for authenticity in an age of inauthenticity. The battle against modernity is more than just about materialism and Unipolarity. It is also a battle against nihilism, self-negation and spiritual decay. Of all of Dugin’s thoughts, these are the ones which I enjoyed most of all, for they resonate with my own instincts. Like Dugin, I believe that the world – not just the West – must enter into a period of nihilism, expressed in different ways, but rooted in the same problems. This period of nihilism will characterize a transition of necessity, where the civilizations and nations of the world are forced to confront new possibilities which extend beyond what we hold to be real in the waning days of the modern world. It is this confrontation that leads us to confront Dasein once more. The final parts of the book are perhaps the most important parts. 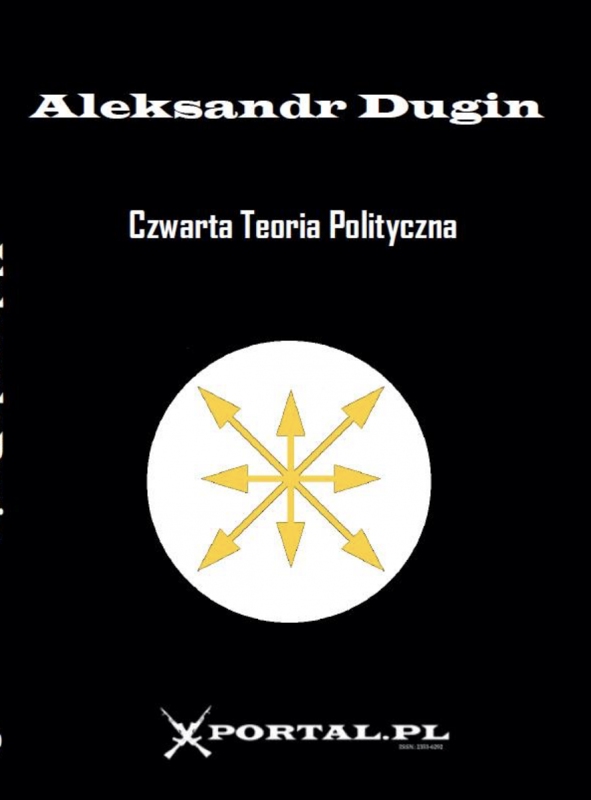 In his concepts of Ontology of the Future, New Political Anthropology, and Chaos Logos, Dugin’s analysis is brilliant if a little too abstract (and possibly a little too paranoid) for the average reader. However, I consider Dugin’s ideas with regards to the Ontology of the Future, the nature of Modern and Postmodern Eschatology, the Pseudo Political Soldier and the Post-Human as nothing short of brilliant. The gist of these chapters is an old theme of Dugin’s, and it concerns how the logocentric ontology of Western civilization has, basically, come to an end. (I would also argue that logocentric thought exists in other civilizations as well.) After having watched several interviews of Dugin as well as read some of his articles, I was already aware of this analysis, but this is the first time that I’ve encountered this thesis articulated in an exhaustive manner. Keeping this thesis in mind is one of the best ways to understand the 4th Political Theory. Dugin believes that the modern world – which is an extension of the Logocentric Weltanschauung – has exhausted all its possibilities, and that the postmodern world is a type of postmortem existence. In this way, Dugin is channeling Nietzsche, but instead of just saying that God is dead, he takes it to a whole new level by stating that Logos, along with all its various forms and manifestations, including the Western conception of God, is dead. When Western man worshipped Christ, it was not so much the Jewish teacher that he was worshipping, but the Logocentric Anthropos, which formed the Western experience from Plato all the way to down to the present. In this way, Dugin affirms what Nietzsche predicted several generations ago with the death God, but also elaborates upon it by replacing Christ with Logos. So, in a strange way, Dugin is affirming Fukuyama’s End of History in the sense that History, as it is currently formulated in the modern (logocentric) world, offers no other possibilities, and that human existence has become a sort of prison. From the linearity of Modernity, we are now in the spiral of Postmodernity and only the confrontation with the Radical Subject, Ereignis, can get us out. However, this confrontation with the Radical Subject requires the return to Chaos, which is the realm of eternity, where there are no dualities or fixed cosmic laws (and I suspect that this includes Tradition with Capital T), but only infinite possibilities. Chaos is defined as something which exists beyond logocentric modernity, as something which transcends existing human experiences and as the fount of all culture and ideas. Chaos is also defined as the source of Logos, and that to survive and create new possibilities, Logocentric thought must return to Chaos in order to rejuvenate itself, resulting in what Dugin calls Chaos Logos. The coming of Chaos Logos as well as the Radical Subject are, in some ways, related to Nietzsche’s eternal return, where the passage of time is an instrument of self-affirmation and self-knowledge by, paradoxically, overcoming temporality. Chaos Logos, Dugin says, is inclusive, which really means openness to new possibilities, whereas pure Logos was exclusive, linear and closed off to the unknown. In other words, and to put things crudely, Chaos is all about embracing what is beyond the zeitgeist. It is to think the unthinkable and confront new definitions of what it means to be human beyond modernity. This admittedly is a difficult thing to do, but Dugin has laid the metapolitical groundwork for this transition. This transition and the language used to express it is still being created. In this sense, the 4th Political Theory remains an invitation to all who wish to chart new courses in postmodernity. It’s also an instrument of self-knowledge and authenticity vis-a-vis the veneer of modernity. 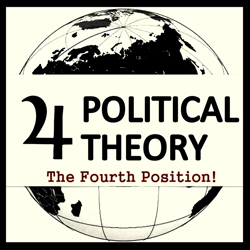 In this sense, the 4th Political Theory can also be considered an overarching framework for things to come. Understandably, this makes the work very difficult at times, but it remains the best tool for understanding Dugin’s ideas. At a time when we are trying to cope with the rapid changes of the 21st century, the 4th Political Theory invites those who reject the values represented by the modern and postmodern worlds to create a world that is both better and more promising than the coming global shopping mall/rave party.